So reads the “Freeform & Geometry” portion of a new Mercedes-Benz.com text that looks at the six tenets behind the luxury automaker’s design strategy. Click on the link embedded above to learn about stimulating contrast, stunning proportions, significant graphics, and natural attraction as well. Happy reading! 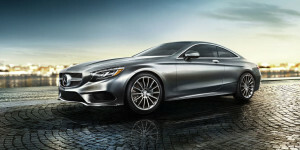 At Mercedes-Benz of Beaumont, located at 1865 I-10 South, we have a lot full of great examples of Mercedes-Benz design. Come test drive one of those examples today.